Nineteenth-Century Spanish America: A Cultural History provides a panoramic and accessible introduction to the era in which Latin America took its first steps into the Modern Age. Including colorful characters like circus clowns, prostitutes, bullfighters, street puppeteers, and bestselling authors, this book maps vivid and often surprising combinations of the new and the old, the high and the low, and the political and the cultural. Christopher Conway shows that beneath the diversity of the New World there was a deeper structure of shared patterns of cultural creation and meaning. Whether it be the ways that people of refinement from different countries used the same rules of etiquette, or how commoners shared their stories through the same types of songs, Conway creates a multidisciplinary framework for understanding the culture of an entire hemisphere. The book opens with key themes that will help students and scholars understand the century, such as the civilization and barbarism binary, urbanism, the divide between conservatives and liberals, and transculturation. In the chapters that follow, Conway weaves transnational trends together with brief case studies and compelling snapshots that help us understand the period. How much did books and photographs cost in the nineteenth century? What was the dominant style in painting? What kinds of ballroom dancing were popular? Richly illustrated with striking photographs and lithographs, this is a book that invites the reader to rediscover a past age that is not quite past, still resonating into the present. Christopher Conway is Associate Professor of Spanish at the University of Texas at Arlington. He is author of The Cult of Bolivar in Latin American Literature (University Press of Florida, 2003) and editor of Peruvian Traditions (Oxford University Press, 2004). "The book is eminently readable and peppered with engaging anecdotes and examples of the thoughts and activities of nineteenth-century folk, both famous and forgotten. . . . [A]n impressive achievement." "Conway's impressive knowledge of the era makes his book not only a useful tool for students and academics alike, but also a really good read. Simply put, Nineteenth-Century Spanish America: A Cultural History makes history fun." "Conway's survey is not merely good, it is masterful. His mastery flows from the enormous breadth of experience and understanding that he has developed over a professional lifetime working on nineteenth-century topics in a variety of countries. Like all real mastery, Conway's does not require (or admit) fuss. It does not fill his pages, but rather, inform them. It is the hidden part of the iceberg. The lucidity and reader friendliness of this book come precisely from Conway's not telling the reader everything he knows. Instead, he tells the reader--not the narrow specialist, but rather, the interested nonspecialist--what he or she needs to know in order to form an accurate idea of the topic and its place in the larger picture." 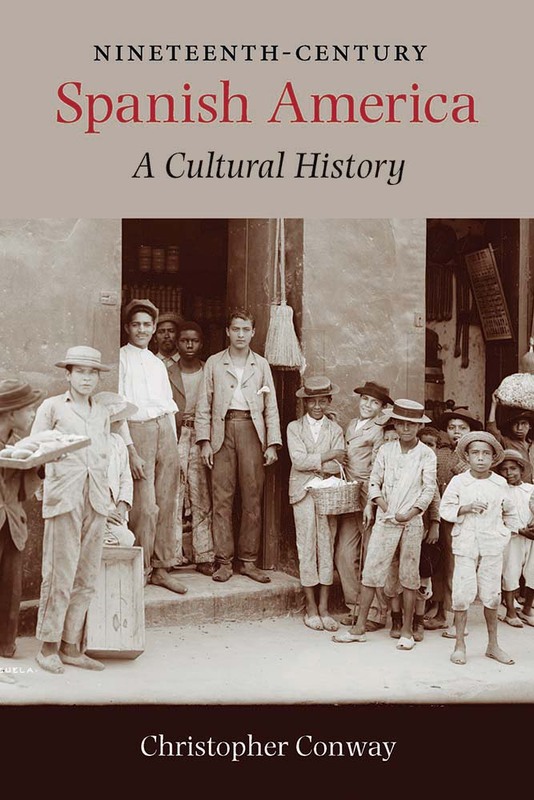 "Conway renders the everyday cultural life of nineteenth-century Latin Americans in vivid prose that makes the reader feel like a witness to episodes and stories retold and analyzed with humor and verve."